This one is about the NYC beekeepers, NYC you say? 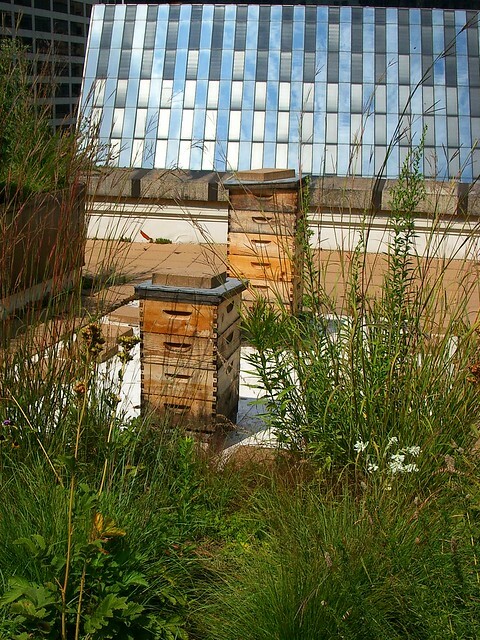 yes, urban beekeeping is on the rise (you might even say, on the “high-rise”) in NYC more and more people are keeping bees on the rooftops of hotels, restaurants and more! It tells a little about the (not so) humble beginnings of urban beekeeping in NYC, where to find the honey from these hives and the quickly expanding enterprise that is rooftop beekeeping. This entry was posted in Beekeeping, News, Uncategorized and tagged article, beekeeping, urban, urban beekeeping.